Dredd producer Adi Shankar got a lot of buzz when he reimagined Mighty Morphin’ Power Rangers as Power/Rangers, an unofficial short film full of grisly violence and surprising performances from recognizable Hollywood actors. From there, he turned his dark-and-gritty gaze to the world of video games, helping to land a “super violent” cartoon adaptation of Castlevania at Netflix. 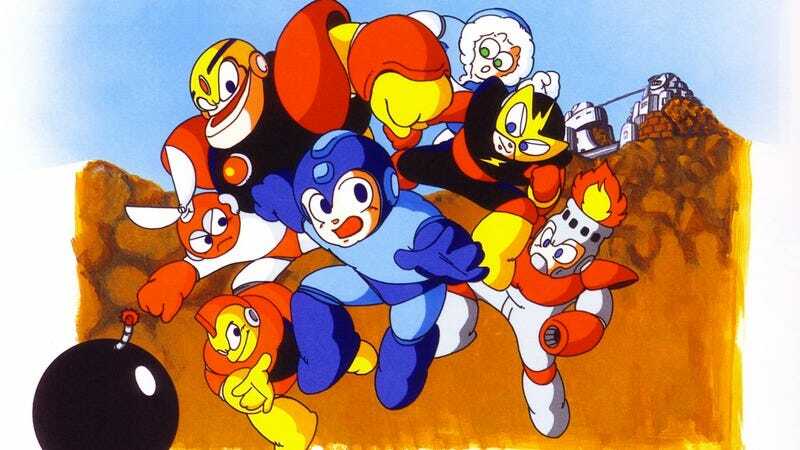 Given that series’ history of violence and monster-movie camp, it’s perfectly suited to the Shankar treatment, but when gaming website WWG asked the producer what video game he’d like to tackle next, he gave a more surprising answer: Mega Man. No deals are in place for this to actually happen, and given the explicit kid-friendly tone of the new Mega Man animated series that’s set to premiere on Cartoon Network next year, the odds of it being made through official channels are slim. But Shankar says he’d love to whip up a live-action “hard-R” take on Capcom’s happy little robot boy, an iconic video game character whose games have never received an ESRB rating higher than E For Everyone. Then again, a robot with a gun for an arm who murders his rivals and essentially absorbs their robo-souls does seem like the kind of character you could build a comically grim reboot around.